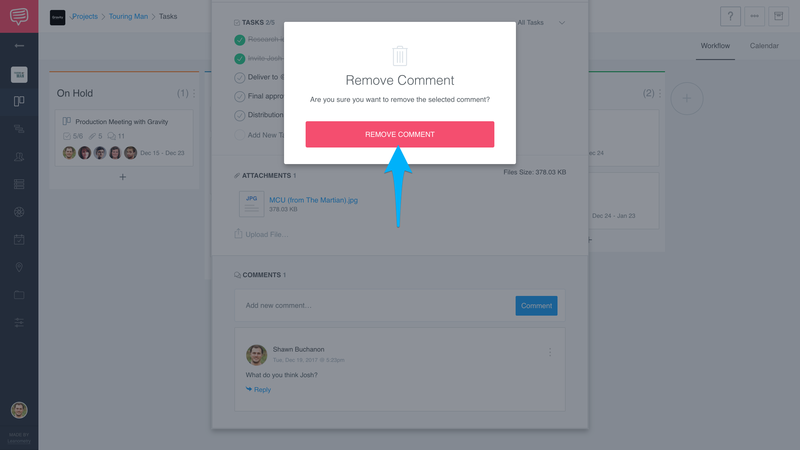 Learn how to remove comments from Workflow or Calendars. 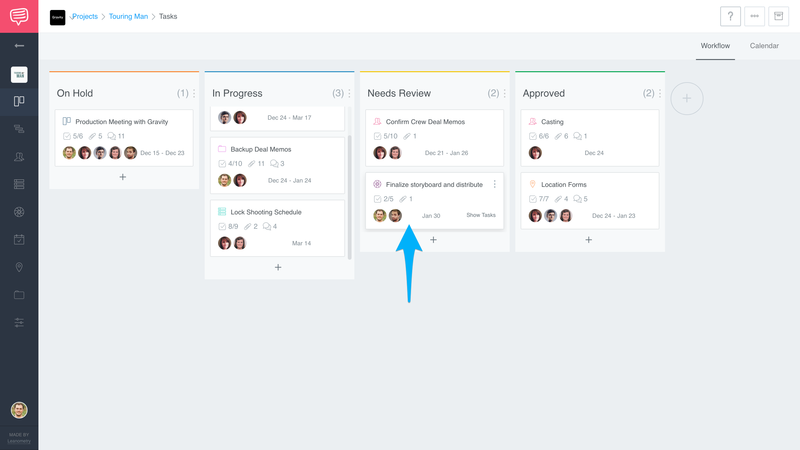 When you generate a Task Card or New Event, StudioBinder gives you the ability to assign teammates directly within it's details. 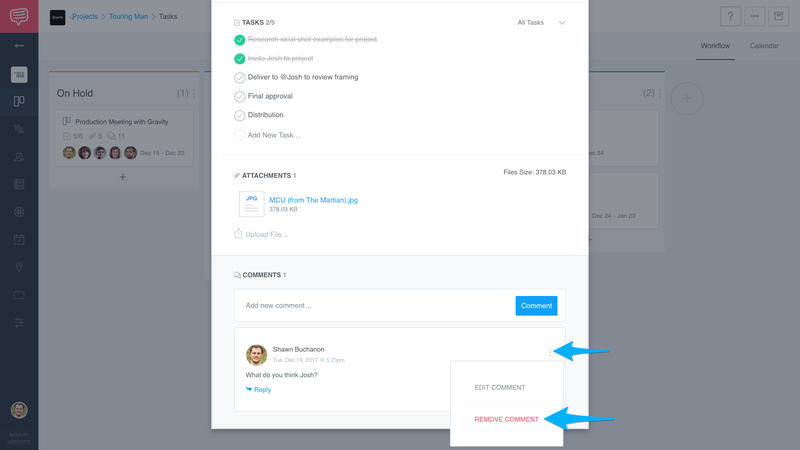 Add comments to communicate with your team, but don't be worried if you make a mistake; you can edit or remove a comment at any time. 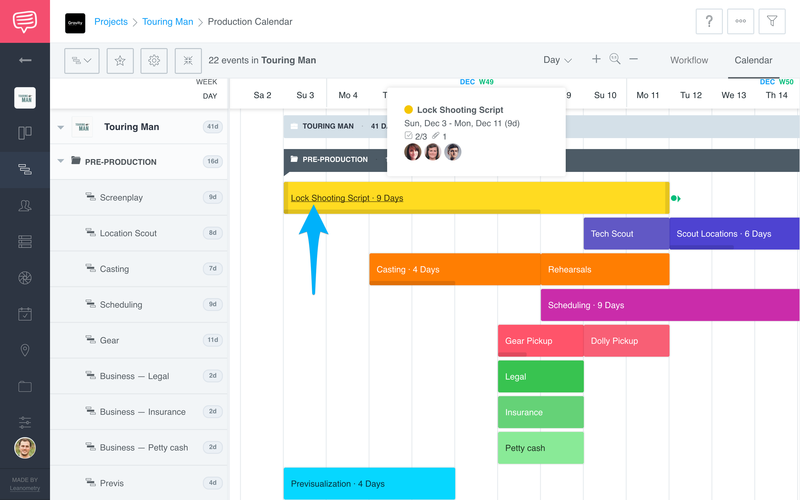 On your Workflow or Calendar page, open a Task Card or open an Event. Scroll down to the comment section, click the More Icon (⋮) next to the comment you would like to change, then click Remove Comment. Confirm that you would like to remove the comment, then click Remove Comment. Note: This action is permanent and cannot be undone.